If you're anything like me, you want to get the best return on the time you invest in training. You're busy and have other things going on than triathlon training, correct? So you can't afford to do junk miles, or any sort of junk training. That's where strength training comes in. We know this from research studies. And I've seen this in a number of athletes I coach personally and hundreds of athletes that have used my 19-week triathlon strength training program. Lifting weights used to be a hotly debated topic in endurance sports, but the pendulum has swung. 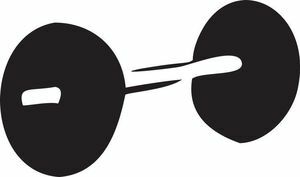 Pretty much any coach or sports scientist worth their salt would agree that for age-group triathletes, a properly designed strength training program is among the lowest hanging fruits for improved endurance performance.
" A properly designed strength training program is among the lowest hanging fruits for improved endurance performance." Five percent improvement in running performance. And close to ten percent improvement in exercise economy — the king of performance markers in long endurance events like Ironman and half Ironman triathlons. 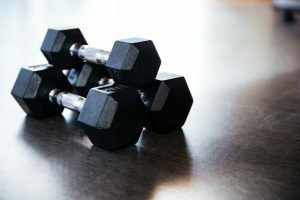 In this ultimate guide to weight training for triathlon, I'll show you can reap these benefits by hitting the gym in a very specific way that's completely backed by science. Let's start lifting! Cycling and strength training: go heavy on the weights! In the following chapters, I'll back up the answer to why triathletes and endurance athletes benefit from strength training with scientific evidence. After that, we'll discuss how to design your strength training program, good exercises to include, and what goes into each individual weightlifting session. But first, let's discuss why you should be lifting weights a little bit more broadly, so you get the incentive and motivation to stick with me for the rest of this article. Unless you're very crunched for training time you should be doing weightlifting to improve triathlon performance, longevity, and general health. The caveat to this is if you are doing only 2 workouts per week in each discipline and you don't have time for any additional workouts. Then you might be better off, from a triathlon perspective, just swimming, biking and running, rather than substituting one of those precious workouts for a session in the gym. Research on strength training for triathletes and other endurance athletes has picked up steam the last 10-15 years. We now know that the right type of strength training (lifting heavy weights, sometimes explosively) can improve exercise economy, lactate threshold, and anaerobic capacity. These are all physiological markers of performance, and economy and lactate threshold are two of the three most important ones in triathlon. The third is VO2max, which we know cannot be improved by strength training. But hey, two out of three ain't bad! In addition to physiological markers of performance, multiple studies have shown direct performance improvements from incorporating a well-designed strength training program in your triathlon training.
" Multiple studies have shown direct performance improvements from incorporating a well-designed strength training program in your triathlon training." By lifting weights, you will see reduced delayed fatigue in extended endurance exercise and racing. You will improve maximal strength and speed (of movement, that is, like running). And most importantly, the improvements in economy and threshold have been shown to improve endurance performance (like Time-To-Exhaustion or Time Trial times) over a wide range of time spans, from a few minutes to an hour and longer. Finally, it's worth mentioning that for longevity in both sports and general health and quality of life, strength training has several additional benefits that go beyond triathlon. These health effects can be found on hormonal levels, in bone health, body composition and metabolism, and beyond. Many of these aspects are and should be top-of-mind especially for masters athletes. So strength training is in fact even more important for the older athletic population than the young 20-something studs. Other than you or your coach having to fit it into your program in a clever way, there is none. For a while, it was thought that by lifting weights and doing any sort of heavier resistance training, triathletes would "bulk up" and gain weight that you'd done have to carry around on the bike and run. Which would in most cases make you slower. But studies have shown that very few endurance athletes gain weight by doing heavy strength training, for several reasons. First, if you do it right, you'll lift heavy, and the number of reps will be low. This is the way to gain strength, but it's not the way to gain muscle mass. To gain mass, you'd need to do more reps (with lighter weights), which is something body-builders and others in the strength and conditioning world have known for decades. Second, to gain mass, you need to have a surplus of calories available. With all the triathlon training you do, it is unlikely that you'd get this surplus of energy without very consciously trying to. At least if you have a normal, healthy diet. The collective evidence suggests a large variety of benefits from strength training that positively impact triathlon or endurance performance, including improved physiological markers of performance. These include running and cycling economy, lactate threshold, and anaerobic capacity. Research has also found directly measured improvements in performance in Time Trials and Time-To-Exhaustion tests that validate the conclusions outside of the lab. One of the main reasons triathletes should lift weights is the improved running and cycling economy. This means you use less oxygen to go at a certain speed or power output. Especially in long-distance events like half and full Ironmans, economy is king when it comes to predicting performance (VO2max is irrelevant in comparison). All of the suggested potential negatives of strength training, primarily increased body mass but also reduced capillarization and oxidative enzyme activity, have been shown to be unfounded. Endurance training is prohibitive of seeing big increases in muscle mass and bulking up. However, muscle strength still improves without added mass. You should be, seeing as I haven't included any evidence to back my claims up yet. Well here goes. The studies and meta-analyses summarised below enrolled triathletes or duathletes, or investigated the impact of strength training on both cycling and running performance. This study enrolled 15 triathletes. They did 14 weeks of 2 times per week heavy weight resistance training. They were above 90% of their one-rep maximum. They improved their maximal strength, running economy, and velocity or speed at VO2max, although VO2max itself did not improve. Impact of strength training on cycling in triathletes. They had a 5-week strength training program (which is a bit shorter than normal), but it had 3 times per week of strength training. This was always above 90% of one rep maximum. This study confirmed the decrease in free cycling chosen cadence with exercise duration. If you go on a long bike ride, usually you may see your cadence drop towards the end of the ride. But after 5 weeks of strength training, the reduction is much less significant in the group that had done strength training compared to the group that did not. They concluded that strength training can help prevent neuromuscular fatigue which causes the reduction in cadence. The study enrolled 19 female duathletes. The strength training that they did consisted of 4 lower body exercises.They used 3 sets of 4-10 repetitions twice a week for 11 weeks. They then assessed running and cycling performance with a 5-minute all out test that was performed immediately after prolonged periods of submaximal work. This was 3 hours of cycling or 1.5 hours of running. In cycling, the strength training group saw a 7% improvement in performance compared to the non-strength training group. The running group saw a 4.7% improvement in performance compared to the control group. The strength training group also had reduced oxygen consumption which is in essence improved economy. They also had reduced heart rate during the final 2 hours of cycling. However, they did not see any of these changes in running. 7% Improvement in 5-minute cycling Time Trial. 4.7% Improvement in 5-minute running Time Trial. Bent Ronnestad and Inigo Mujika confirmed that running economy is improved by performing combined endurance training with heavy or explosive strength training. However, heavy strength training is recommended for improving cycling economy. With running, you can go both ways – heavy weights or explosive strength training. With cycling, it’s really the heavy weights that will give the most bang for your buck. With explosive strength training, if you can get your intended velocity high, that still counts (by the body and its adaptations) as explosive, even if the actual velocity isn’t high (because you loaded the bar with a ton of weights). 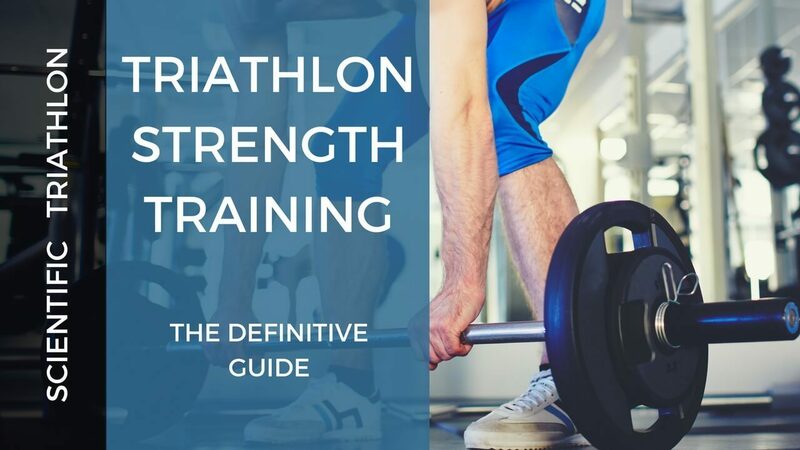 We will soon get into the more practical aspects of including strength training in a triathlon training regime, what exercises to do, and so on. But let's just cover the individual disciplines of running, cycling and swimming first, so you can grasp the differences that exist between them. *If you don't have time to create your own strength training plan from the information in this article, don't worry, I've done it for you! My 19-week triathlon-specific strength training plan is highly effective, easy to follow, and extremely affordable. What's not to like?
" A strength training program for a pure runner would not look the same as that of a pure cyclist." What type of strength training improves running performance? Lift as fast as you can. Be explosive! Optionally, do plyometric exercises, but be careful: they may have a big reward, but the injury risk is high. To expand a little, here are some things to keep in mind. First, even though you'll be in the heavy-weights low-reps range, the weights you choose can be a bit lower than for cycling specific, maximum strength (non-explosive) type lifting. This will allow you to stay explosive and keep lifting fast (which is critical!) throughout the set. Second, you only need to lift fast in the concentric part of the lift. For example, in a squat, you should be going down slowly and with control, stop at your starting position, and then produce a lot of force as quickly as you can to get up into standing position. This lifting part is the concentric part. Going down is eccentric, and you shouldn't be doing that with any speed. Apply this example to your other exercises as well. Finally, I've made a lot of mistakes with plyometric myself, and got myself injured. In the early days, I did these same mistakes with athletes I coach, but through a stroke of luck, none of them got injured before I realised my mistakes. But the point is, with plyometric, you need to be very careful, and very particular with your progression. Do not do 8 jumps if it says 5. Do not use a 40 cm box if it says a 20 cm box. This can be the difference between amazing running gains and frustrating series of injuries.
" Do not do 8 jumps if it says 5. Do not use a 40 cm box if it says a 20 cm box. 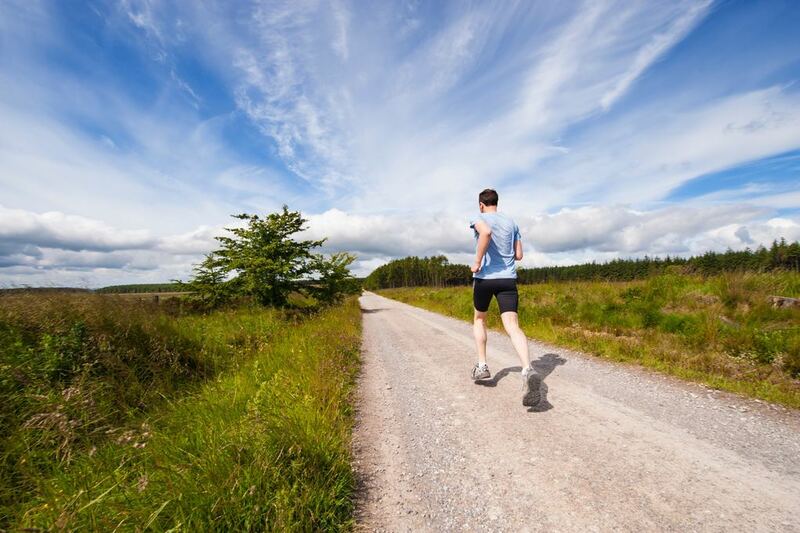 This can be the difference between amazing running gains and frustrating series of injuries." Until I found this amazing article by John Davis, I did not know any of this. Be sure to read the entire article and use his program and progression if you plan to include plyometrics as part of your strength training. Ok, let's get to the science! Below, I've listed just the meta-analyses and systematic reviews of the impact weightlifting has on running and running performance. To see results from the original studies, see the references of these review studies. 1. Denadai 2017 - Explosive Training and Heavy Weight Training are Effective for Improving Running Economy in Endurance Athletes: A Systematic Review and Meta-Analysis. Included 16 relevant studies on how heavy weight training affects running economy. With explosive strength training, the athletes had an improvement in economy of 4.8%. With heavy weight training, they had an improvement of 3.7%. They also assessed isometric training, which didn’t have a significant effect on running economy. 28 studies were included in this meta-analysis. They found improvements in middle and long distance performance that were associated with improvements in running economy, maximal force, and maximal power. They found that maximal force training led to greater improvements than other intensities. This refers to lifting heavy weights at a low number of repetitions, and not lifting high reps, low weights. If you are an endurance athlete and you want to get into strength training, you need to be lifting heavy to get the most bang for your buck. Interestingly, this is a bit different because 4 out of the 5 studies used low to moderate resistance strength training intensities. These are 40-70% of one rep maximum. All of them used low to moderate training volume. That would be 2-4 resistance lower body exercises plus 200 jumps and 5-10 short sprints. They did this 2-3 times per week for 8-12 weeks. When they pooled these studies and analysed the combined effect, the effect of strength training programs on running economy specifically in high-level middle- and long-distance runners showed a large beneficial effect even though these studies were more of a low weight, high rep strength training program. This meta-analysis shows that in high-level runners at least, not only heavy weight training, but also lower weight, higher rep training can potentially be beneficial. This meta-analysis goes against most of the other collective evidence in this aspect. The conclusions for what the best type of strength training for cycling performance is, differs from that in running. Below, I've listed the one meta-analysis I could find on this topic, plus the findings from what is essentially a systematic review: the chapter on strength training from the book Cycling Science by Stephen Cheung and Mikel Zabala. Most studies have used multiple leg exercises during a minimum of 8 weeks, which has been suggested to be the minimum period that you need to do strength training to see really good results. The few studies that have failed to show improvement in terms of time trial performance have had weight training programs that have been shorter in duration or have used a low volume of strength training. In cycling, protocols that have been using explosive strength training have not been beneficial and did not result in performance improvements. Explosive strength training is very good for running but not necessarily the best for cycling. 5 studies met the inclusion criteria. This was with highly trained road cyclists. The outcome measure was cycling performance – time trial or time to exhaustion. 3 of the 5 studies found an improvement compared to the control group in cycling performance. The 2 studies that did not have improvements added resistance training on top of the athlete’s existing endurance training program. The 3 studies that found improvements just exchanged some of the endurance training for resistance training instead, to keep the total training volume constant. This is very interesting. You don’t need to add more training. You can substitute some of your endurance training for strength training. Of the 3 positive studies, 2 of them used high-intensity, explosive types of resistance training. This goes against what we see in Cycling Science. However, this meta-analysis is from 2010 whereas Cycling Science is from this 2017. So, I personally would lean towards using Cycling Science as a better reference.
" You don’t need to add more training. You can substitute some of your endurance training for strength training." It's easy to find studies showing improved time trial or time-to-exhaustion test performance as a result of strength training. What's interesting is that this performance improvement isn't as directly related to an improvement in economy as it is in running. In well-trained and elite cyclists, there are very few studies showing positive effects on cycling economy from strength training. However, with moderately trained cyclists the association between performance and economy has been much stronger and clearer. And even in well-trained and elite cyclists, economy has improved towards the end of an extended duration of cycling as a result of strength training. So after already cycling for 2-3 hours, strength training may make you more economical, even if there's no difference during that first couple of hours. This is very relevant for triathletes. Especially if you’re doing half or full Ironmans. As I mentioned earlier the longer the duration of the event, the more important economy becomes. That doesn't mean it's not valid, but it's important to make that distinction. It is practice-based, from my own experience and the experience of the athletes I coach. It is not by any means evidence-based. The gaps in the available research are too big for it to be possible. To give an overview of the science that does exist, one recent systematic review of strength training in swimming is summarised below. For a good summary of the evidence of various types of resistance training (including things like swimming with paddles) see the article Is Resistance Training In Swimming Effective? by Dr. John Mullen at Swimming Science. Aspenes & Karlsen 2012, Exercise-training intervention studies in competitive swimming. Systematic review of research studies on effect of different training modalities, including resistance training, on swimming performance. There are indications that heavy strength training (three sets of one to five reps heavy weight pull-downs) can improve performance, and possibly have positive effects on stroke mechanics. However, only five studies have investigated the effects of strength training on swimming performance, and the number of participants in these studies is so low that it's not possible to draw any conclusions. For the warm-up, start with 5 minutes or so of cardio. The elliptical or stationary rower are my favourites as both work the entire body. Running and cycling also get the job done. The mobility part is also important to get access to your full range-of-motion in the lifts for both better performance in the lifts, and therefore better return on the time you spend in the gym. Also, five minutes of mobility work is your best and cheapest insurance against gym injuries, and time very well-spent. Any routine that you already have (for example, one that you do before track sessions) will do as long as it targets both the lower and upper body. And it should be dynamic movements. No static stretching at this point, thanks! Now onto the actual weightlifting. You really don't need a lot of exercises to work all the muscle groups you should. Four to five exercises will go a long way. And three to four exercises is all you want to cram into a single workout anyway. For each exercise, you'll do one to two warm-up sets with very light to moderate weight, and recoveries can be short. Then, when you start to lift at the actual target weight you'll want to do 3 more sets of 3-6 reps.
" Do not cheat on the recovery. This is the number one most common mistake triathletes make with their strength training." The reason this is so important is that you’re burning through ATP and CP (creatine phosphate) when you lift, and you need to allow for ATP resynthesis before your next set. Otherwise, you won't see the results. Your call. Complete all sets of one exercise before moving on to the next. As for what exercises to choose, there's plenty that you could choose from that will all give you good results. Prioritise compound (multi-joint) exercises that work multiple large muscle groups when possible. Prioritise free weights over machines when possible to get a more functional workout. For example, free-weight squats are better than doing the leg press, because it requires much more balance and activation of more muscle groups, including your core. Since we know that we don't know much about strength training for swimming, I believe it's best to focus the heavy lifting on the lower body, with only one or at most two upper-body exercises per workout. In other words, your routine could contain 2-3 lower body exercises, and 1-2 upper-body exercises. I then like to supplement with stretch cord work to get an additional upper-body stimulus. You can stick to a pool of 4-6 exercises workout after workout. That's what I do for myself, in my coaching, and my strength training plan. You'd do three to four exercises in each session as discussed, and then rotate in the exercises you didn't do in the next session, and so on. Even though the exact exercises you select should be based on you as an individual (e.g. your background in weightlifting and in triathlon and endurance sports), to give you an idea, the list below contains some of my favourite strength training exercises for triathletes. *In the latest edition of my strength training program I prescribe just the front squat, Romanian deadlift, barbell row, leg press, glute ham raise, and close-grip lat pulldown. This contains a nice mix of posterior and anterior chain exercises (e.g. 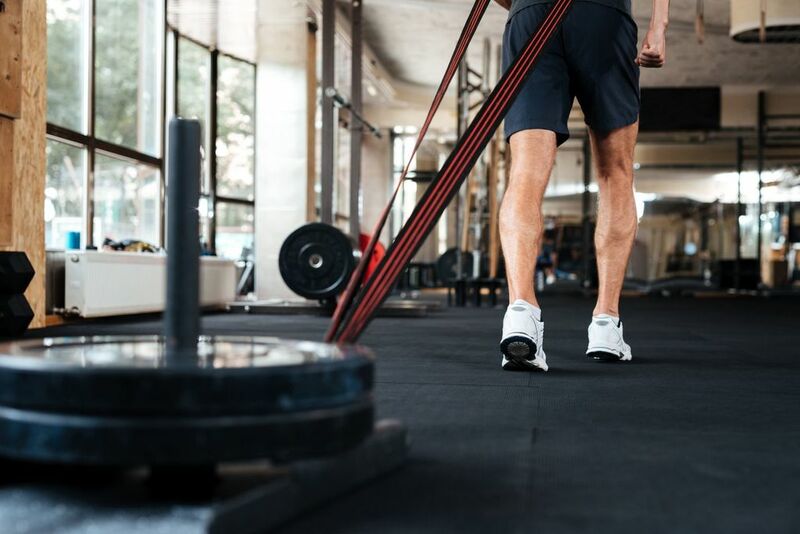 hamstring-focused vs. quad-focused), lower and upper body (with a priority on lower body), and stable vs. single-leg, more functionally demanding exercises. Pick the ones that work for you, and complement with your own exercises that fulfil the criteria I explained above when creating your own routine. At the end of the session, feel free to add 10 to 20 minutes of plyometrics, core work or other strength training like stretch cord work. In my strength training plan, core strength, stability/rotation/balance, and plyometric add-ons rotate as the post man set "add-on". You can also do foam rolling or stretching. And this is the time to do static stretching if you're looking to increase your flexibility. Just remember that if you do static stretching, hold the stretch for at least 2 minutes! It's a common misconception to think that 20 to 30-second holds will get the job done. Whether it's plyometrics, core training, foam rolling, stretching, or something else, you're already changed and warm. So use this time wisely. It's likely you'll skip a core training routine if you have to get dressed just for that. So do it now, and you won't have to worry about it later. Most research studies have found that two strength training sessions per week for 8-12 weeks achieves a sufficient increase in strength to result in endurance improvements. I would advise going for the 12-week period to be on the safe side. My training plan has 19 weeks simply because a lot of athletes do have a long winter training season, so fitting in 19-weeks is not a problem, and can give even more benefits than a shorter plan. However, 12 weeks will give you plenty of benefits already. Just make sure you do some maintenance to retain the gains you'll make (see below). Start with an initial adaptation phase of 2-3 weeks before your "real" strength training program. Use lighter weights to focus on technique and form, and to prevent the ungodly DOMS you would experience if jumping from zero to heavy weight training. In this phase, do 8-12 reps per set per exercise. Take 60-90 seconds rest between sets. You could do 3 sets of 12 reps per exercise in week 1, 3 sets of 10 week 2, and 3 sets of 8 week 3. Adding just a little bit of weight each week. After the adaptation phase, you should do a session of 1-rep maximum (1RM) test. Your 1RM represents the theoretical maximum weight you could lift just once. The great thing is that you can test it by lifting to failure with slightly lighter weights, as long as less than 10 reps get you to failure. You need to test each exercise separately. 1. Warm up properly with 2-3 sets of light to moderate weights for each exercise. 2. Make sure you have rested enough since the previous 1RM-test or last warm-up set before attempting the test. You want to be fresh. 3. Choose weights that you think you can lift between 4-8 times until failure. 4. Do the exercise until failure. Note weights used and number of reps performed. 5. Calculate your 1RM-results here. This phase is the meat and potatoes of your strength training program. This is what will translate to improved triathlon performance if you get it right. The phase lasts for 8-12 weeks as mentioned previously. You should do two sessions per week here. You should reach the point when you can't do another rep without "cheating" or get very close to it at the end of each set. This is called VMF - Volitional Muscular Fatigue. If you don't, you may need to add more weight. Make one of your weekly sessions a maximum strength session. In this session, you just want to lift as heavy as you can regardless of speed (or lack thereof). You must always maintain correct form, though. And don't get silly and do things that seem too risky to you. The other weekly session is an explosive strength session. Scroll up to a previous section for information on how to lift explosively. Do 3 sets of 3-6 reps per exercise. The weight range here is 80% (for 6 reps) to 90+% (for 3 reps) of your 1RM. Recovery between sets should be 2-3 minutes. Just rest. Meditate if you want to. Don't try to cram in "extra training". You have to make this phase progressive. If you just lift the same weights and same reps throughout the phase, you might improve the first 2-3 weeks, but then you'll stagnate.
" You have to make this phase progressive. If you just lift the same weights and same reps throughout the phase, you might improve the first 2-3 weeks, but then you'll stagnate." Then repeat this whole cycle again if you have 12 weeks. Note that for your explosive strength workouts you may need to reduce the %1RM of this progression to still be able to lift explosively. If you are going to do plyometrics, you could do it from the start of the program, or even add them in in the second cycle (weeks 7-12 of this phase). You can’t just forget about strength training when you get to your racing season and stop it completely and expect the benefits to last. The maintenance that you need to do, however, is minimal. One session per week is enough. Some studies have shown that even one strength training session every 8-10 days can be sufficient. You don’t need to do three sets per exercise any longer. Two sets is just fine. You don’t need to go as close to the point of failure anymore. You can reduce the weights slightly. To make things practical, I suggest you do 2 sets of 4-5 reps at 80% 1RM of each exercise, with 1.5 to 2 minutes recovery between sets. Should I do endurance training or weight training first? I’ll talk about endurance and strength interference below. In short, to make sure that these two very different types of training don’t cancel each other out, ideally you should leave 8 hours between the two sessions. As for which to do first, you have to consider the importance of each session, and how much the prior session will negatively impact the other. For example, if you have a hard run or bike ride scheduled on the same day as your gym session, chances are that you might carry too much fatigue in your legs to get the most out of these sessions if you did a gym workout before. If this is the case, I would recommend doing the endurance work first, strength second. On the other hand, if you find that the endurance work typically gets you very fatigued for your gym session and you can't lift what you would expect to do in a fresh state, you should consider switching the order of workouts the other day. To be clear, the strength workouts you do should be considered key workouts, but at the same time, key swim-bike-run workouts shouldn't be sacrificed for them. You need to find a balance. Something that usually works well for athletes I coach is to swim in the morning and do gym work in the afternoon or evening. But I also think most triathletes can perform in the gym in the afternoon or evening even after a hard morning ride or run, although the opposite is often not the case. I want to point out that there is some evidence that doing strenght training before endurance training is actually more beneficial. A 2018 meta-analysis found that strength gains are maximised when strength training is performed before endurance training, and aerobic development is not affected by the order of workouts. Therefore, it makes sense to do strength workouts first, endurance workouts second. So my advice above goes against the scientific concensus at this point in time. Anecdotally, I have found that gym workouts do have a significant impact on subsequent endurance workout, that logically would impact the aerobic development. However, if you only have an easy swim/bike/ride to do on the same day, it might make sense to do the strenght workout first. So it is not all black and white, as you can see. Note that the interference effects that may impact strength gains negatively can be combated by smart periodisation with the right type of endurance (and strenght) training at the right time. The order of workouts on any given day is only one part of the puzzle, which is why I am pretty confident in my current recommendation that doing strength after endurance is also a perfectly fine (if not preferrable) way to go. How fast is "fast" in the explosive strength training sessions? When we talk about explosive training, it’s really the intended velocity rather than the actual velocity that seems to determine the training response. Although in reality, you may be lifting that bar in your squat really slowly, if you’re trying to be powerful and lift it as fast as possible, it still counts as explosive. However, we still need a bit more research on this to make it completely conclusive. So I advise you to choose weights that you’re capable of moving quickly, both intended and in reality. Why are we doing this low-reps high-weight stuff again? Shouldn't triathletes and endurance athletes do the exact opposite? You can improve your muscle strength through either increased muscle size or improved neuromuscular function. In endurance athletes, it’s usually neuromuscular function, because we can’t easily achieve hypertrophy (increased size). This is due to the interference effects I’ll describe below, and due to our non-bodybuilder diets (you need a caloric surplus to achieve hypertrophy). For us, improved neuromuscular function leads to improved maximum strength and rate of force development (RFD). This, in turn, improves both your short duration performance and long duration performance because the rate of force development improvements lead to reduced fatigability of the muscles. If, on the other hand, you strength train any other way (lower weights, higher reps), you target increased muscle size. This will not improve neuromuscular function or RFD. The bummer is, for the reasons stated above, you won’t get much of an increase in muscle size either (this, of course, depends on how much triathlon training you do). So although not a complete waste of time, it definitely does not give you the bang for your training buck I’m sure you want. Interference is a situation where strength training and endurance training cancel out or greatly reduce the effect of the other training modality. There are many molecular and hormonal pathways and hormones involved in the background that causes this phenomenon. 1. Endurance training before strength training. 2. Close proximity of a weightlifting session and an endurance training session. Try to separate your strength and endurance workouts by eight hours. Do one of the workouts in the morning, the second in the afternoon or evening if you have double-workout days. Do the bulk of your strength training (when you do two sessions per week with high weights low reps) in periods where your endurance training volume and intensity is lower than normal. For most triathletes, this means the winter months and the off-season. Don't make this a make-or-break thing, though. If, for logistical reasons, you have to do endurance and weightlifting after each other, do it! It's not ideal, but it's better than nothing. The same thing goes for the order of workouts. The things that you do have control over, endurance training volume and intensity, you should keep in check. Don't ramp up the endurance training volume or intensity and also start to include heavy strength training alongside it. There are some caveats to these interference effects. First, they have been shown primarily in people that are not used to both endurance and strength training. If you've done both alongside each other for years, the effects could be much smaller for you. Second, research has shown that interference is strongest when you’re focusing on peripheral adaptations in both strength and endurance training. For endurance training, peripheral adaptations means simply a very high intensity. About 90% of VO2max or higher. If you stay away from this kind of high-intensity training, you’re outside of the zone of interference and in the central cardiovascular adaptation zone where interference is minimized. For strength training, peripheral adaptations means high reps. Eight to ten reps or higher. Six reps or lower, which as you know by now is what you should be doing, is in the central neural adaptation zone for strength training. If you follow the strength training guidelines given here, and do high weight, low rep training, and you also avoid doing very hard intervals (VO2max-intervals, zone 5) you reduce the interference risk a lot. To minimise it even further and make sure you get as much as possible out of your training, keep your endurance training volume in check, and separate your gym workouts and endurance workouts by 8 hours or more.
" What research studies have actually found is that, yes, core training is strongly linked to injury prevention. When it comes to performance, most of the available research points to there being no direct link between core strength and performance." I recommend doing 3-7 core training sessions per week, 10-20 minutes each. It's time to wrap it all together now. You know that you should be lifting high weights, low reps.
You know that you should incorporate some of the lifting as explosive lifting to benefit running, and some as maximum strength for cycling. You know that swim-specific strength training doesn't have any evidence-base behind it, so you should try to find your own, anecdotal answer. Let's summarise and make it short and sweet. How do you put all of this together? Especially in the context of also having the small issue of swim, bike and run training to deal with. Below are the 10 commandments for successfully incorporating strength training in your triathlon training program. Do a combination of heavy strength training (high weights, low reps) and heavy explosive strength training. Do prioritise compound (multi-joint) exercises that mimic sport-specific movements versus isolation exercises, and do favour free weights over machines when possible. Do two to three sets of each exercise and rest for two to three minutes between sets when you do high weight low rep training. Do leave 8 hours or more between your endurance and heavy strength training workouts if you train both modalities in the same day, to avoid or minimise interference. Do two strength training sessions per week over an 8-12 week period if you want to see significant endurance performance improvements. Do periodise your strength training so it progresses from an adaptation phase, through a progressive build phase where you increase the demands at an appropriate rate, into a maintenance phase during your race season. Do include maintenance weightlifting year-round, at least every 10 days, or you will lose the gains you've made in the gym. Do include an adaptation phase with low to medium weights and low to medium reps when you are getting back into weight training to refine your technique and ingrain the movement patterns of each exercise. Do include core training year-round. Ten to twenty minutes three to seven times per week is recommended. Do, optionally, include plyometrics, but be very careful and use a conservative progression to avoid injury. Be an action-taker and implement this kind of strength training in your triathlon training program. The information you have here gives you all the knowledge you need to create this sort of strenght training plan for yourself. If you prefer a ready-to-go implementation that is effective and affordable and tested and proven by hundreds of athletes, I encourage you to check out my 19-week strength training program specifically designed for triathlon performance. Let me know how it goes in the comments below. If you have any questions, post them in the comments below as well. I have compiled a list of the resources I use over and over below. I have also listed my own content (mostly podcast interviews). I highly recommend you listen to episodes 81 and 45 in particular. Also, make sure you sign up for my free triathlon core training routines below. Finally a post that talks about volume. Thank you so much Guillaume! I discovered about this article after listening to one of your podcasts. I’d wanted to start incorporating strength & conditioning, but wasn’t sure where to start… this article answered every question I had 🙂 Great resource, thanks for putting it together. Thank you Dave, I’m glad you found it useful! I have a home gym with weights up to 50lbs. I do not want to join a gym to do my weight workout. What do you suggest if someone does not have heavy weights? There can be some value to doing lower-weight weight training, at least for some time periods. However, it just is not not as good, generally speaking, as the high-weight low-rep training described in this article. It’s difficult to answer what the “best” strength training for you is, not knowing your background, ability, etc. The one thing that I can say is that you can do most of the exercises I recommend (squats, deadlifts and so on) with the weights you do have, and if you do that consistently, then it’s absolutely better than doing no strength training. Of course, you can and should do the core training I describe in this article just fine in your home gym. For most of the core exercises you don’t need any weights at all, but I do recommend getting a stability ball and therabands. Yes, I agree more or less. I tend to use 50-60% 1RM so slightly higher. Here’s a great reference (see section Definitions and Common Terms and the term Dynamic Effort). This is a wonderful resource. Thanks for the weeks-long overview and specific details for each set, plus links for the videos. Now I just have to get over the intimidation factor at the gym! Thanks for writing this Mikael! I was wondering if there is an ideal time to start this 12-week strength phase in terms of when I start my triathlon training plan. I will have a 4-week “prep” phase, then jump into the first 4-week block of “base 1” after that. As I am planning now, I would wrap up the maximum/explosive phase in week 4 of “base 1” then move to maintenance through the season. Does that seem too early to start strength, or any thoughts there? It isn’t too early to start by any means, I think it’s a good time to start. What you could consider, since after the end of those 12 weeks it sounds like you’re still a few months out from your races, is to extend the progressive part of strength training to 16 weeks or so, and only then move into maintenance. This is brilliant. Thank you so much for all your hard work. I am an avid listener to your podcast and just wanted to revisit all the advice and evidence about weight training I knew you had put together. I was not disappointed. Your site is without doubt the best. Keep up the good work. The best and most comprehensive strength training guide I have seen. Thanks for sharing. Thank you so much Enrico! Glad you liked it! Previous Post Triathlon Terminology: One Glossary to Rule ’em All Next Post Want to become one of 5+ million triathletes? Read this first!